Fans wearing 3D glasses clapped as soon as James Cameron's face appeared on screen. 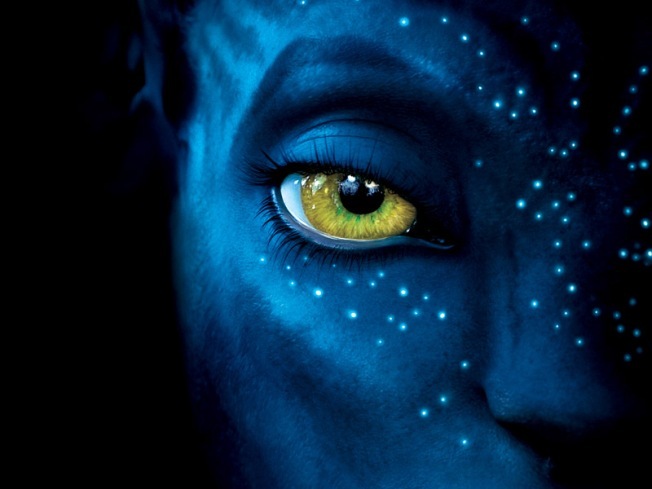 The filmmaker, shown in 3D, invited moviegoers to enjoy a 16-minute peek of his anticipated sci-fi epic "Avatar," which was screened for free around the world Friday. Another scene shows Worthington's character befriending a native woman (Zoe Saldana). They discover a psychedelic forest of luminescent flowers and battle an army of flying dragons. Relying on 3D and performance-capture technology Cameron has helped pioneer, "Avatar" is an immersive blend of animation and live-action movie magic. "It was almost a sensory overload," said Ryan Moore, 23, a student at Ohio State University. "You have to be in the moment wearing the (3D) glasses to really appreciate it." "It looked very real, especially the aliens. It looked amazingly real," said the 45-year-old. "It was one of the most amazing things I've ever seen, actually." "I think it's going to be one of the greatest movies this decade," said 21-year-old film student Derek Nunn. "It is essential that you watch it in IMAX 3D, or 3D," Manoj Patel of Manchester, England, wrote on the film's Facebook page. "I just got back from watching the 15-minute footage, and I've got to say, my mouth was wide open all the way through." Response to the film's 2D trailer, which debuted online Thursday, was mixed. Analyzing the two-minute teaser, several movie blogs — including Movieline.com and Spout blog — noted the film's similar appearance to the 2008 animated flop "Delgo" and other science fiction movies. But fans who saw thefootage in 3D gave it overwhelmingly positive reviews. "The trailer does not represent the movie properly," Smith said. "The trailer short-sells it." "I don't even know how to Twitter," he said in an interview. "I'm so unhip that it's tragic." But the 55-year-old filmmaker, whose last flick was world box-office record-holder "Titanic" in 1997, knows how to make a splash on screen. He said his team came up with the "crazy stunt" of inviting people to the movie theater to watch 16 minutes of "Avatar" for free. "And it's not even a continuous 16 minutes," Cameron said. "There are a number of scenes, about three or four minutes apiece. And the idea was to let people come in and really sample the quality of the goods." "Avatar" is set for release Dec. 18.